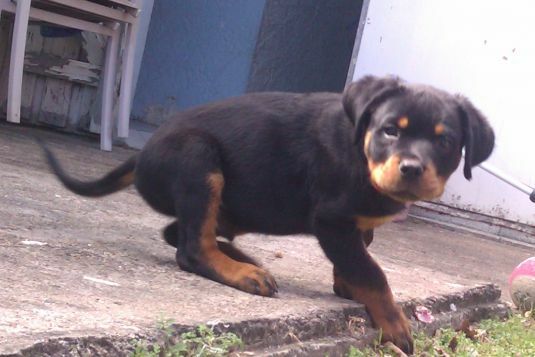 This is our awesome little Rotti pup Zeus at nine weeks old. He loves spending time with his family and is always ready for a game. 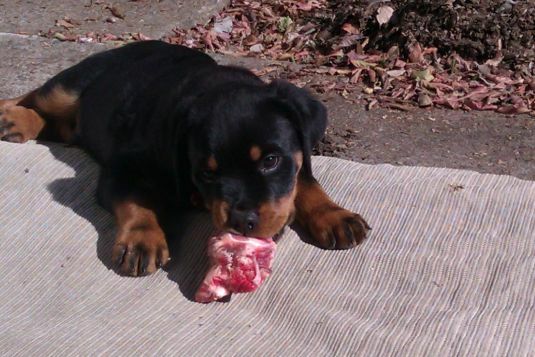 He likes nothing more than lying in the sun chewing on a nice meaty bone. With his loving friendly nature, he can put a smile on anyone's face.